During April of this year 2015, as we were celebrating the fortieth anniversary of Decree 4 and preparing for General Congregation 36, which will take place next year, the Conference Coordinators of the Social Apostolate met in Rome to dialogue about how to renew our ardor for the justice that is born of faith. 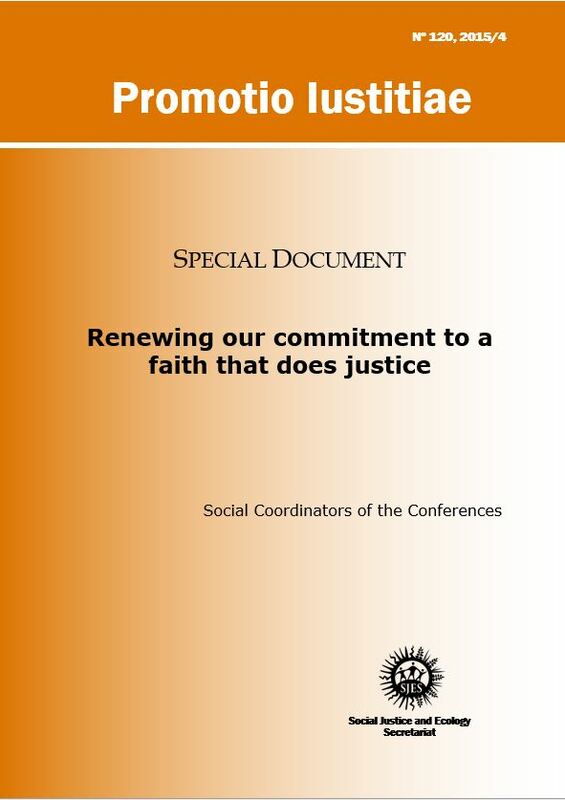 They expressed the substance of their dialogue in a document about the spiritual sources of our commitment to justice, the changes that have taken place in the Society and the world, the challenge of fostering greater solidarity in the Society today, and some concrete recommendations that will help us move forward. Download Promotio Iustitiae 120.